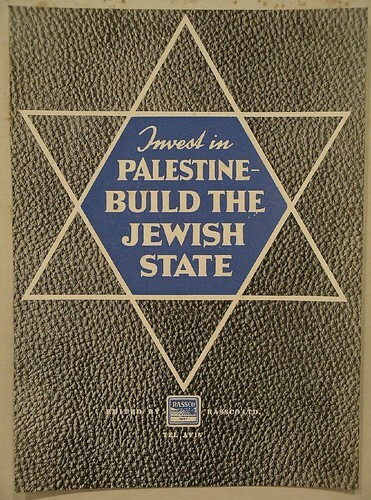 Green Olive Tours Blog • Palestine • Israel: Kabbalah or Crapbalah? Kabbalah Celebrities wearing the red wristband against the "Evil Eye"
With celebrities like Madonna and Britney Spears sporting red wristbands, and news headlines such as “the exposure of the great Kabbalah con", Jewish mysticism has created quite a buzz in recent years - both among Jews and non-Jews. But what is really behind all that craze? Does Madonna drinking soul cleansing water, which allegedly even cures cancer, really have anything to do with the centuries old mystic Jewish teachings? The answer to that probably depends on who your are asking. In non-sympathetic media articles the recent upsurge in interest in Kabbalah is called a hype, the practice is referred to as a cult and its spiritual leaders are described as nothing but greedy for money. 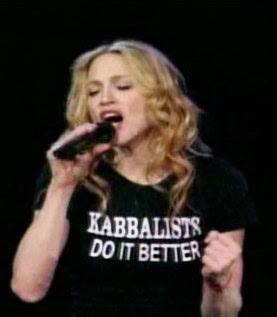 Followers of Kabbalah, such as Madonna, on the other hand argue that it helps them “to achieve spiritual quality”, that it reveals to them the value of their own worth and more. According to more traditional definitions, however, Kabbalah is by no means a religious denomination in itself, but rather constitutes a part of Judaism that cannot be practised independently. What is more, following Talmudic rabbis, mystical studies of God can be potentially very dangerous, and have even cost people their lives or their sanity. For the same reason a rabbinical legislation was passed in the 17th century that suggested that only married men over the age of 40, who had completed their eduction in Torah and the Talmud, could safely engage in Kabbalah studies. The Kabbalah is mainly based on the Zohar, an ancient 23-volume book, which interprets the Torah as a "system of symbols which reveal the secret laws of the universe and even the secrets of God" and which is believed to have originated in 13th century Spain. 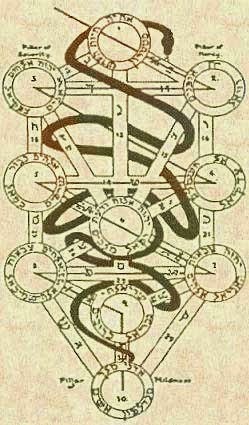 With the expulsion of the Jews from Spain in 1492, kabbalistic thinking was spread all over the world and by the 16th century it had become an integral part of the Jewish mainstream. 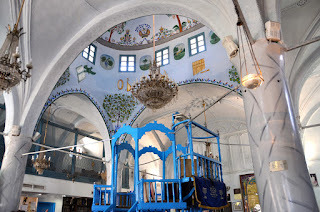 The most notable centre for Jewish mysticism after 1492 emerged in Safed, Palestine and centred around Rabbi Isaac Luria, usually credited with being the father of contemporary Kabbalah. According to Gershom Scholem, a critically acclaimed academic scholar of the Kabbalah, there is a clear connection between the historic fate of the Iberian Jews and the religious ideology that devleoped in Safed, which in many ways constituted a search for an answer to the existence of evil in the world, which had led to their suffering. The spiritual outlook of the Safed community centred around a felt personal urgency and responsibility on behalf of the Jewish people to hasten Messianic redemption. They also belived that a wide dissemination of their teachings, and the meditative practices based on them, would further advance redemption and thus for the first time Kabbalah moved beyond the close scholarly circles to which it had previously been restricted. With the emergence of Hasidism in the middle of the 18th century the idea that everyone, including the uneducated masses, can have personal interaction with the divine further popularised Jewish mysticism. In the 19th century however the Kabbalah slowly lost its central position in Judaism and was increasingly marginalised and also attacked especially by the European Jewish Enlightenment movement. It was not until the 1970s and early 1980s that Jewish mysticism in general, and Kabbalah specifically, experienced a renaissance in the US, Israel and Europe. Once more kabbalistic Yeshivot, instutes and study groups emerged, and only during the past few decades thousands of books were published on the topic. One of the first of those new institutions was the Kabbalah Centre of the (in)famous Philip Berg, which markets Kabbalah as a "universal system for self-improvement" and by now attracts more than 3.5 million followers, including the above mentioned celebrities. Although contemporary strands of Kabbalah are probably as diverse as the more traditional ones, it is specifically Berg's Kabbalah Centre that is being heavily criticised for simplying Jewish mysticism and generally commercialising the faith. Rather than about enlightenment, critics claim, Berg's teachings are about merchandising and thus money making. The commodification and marketing that the Kabbalah Centre is charged with follows, according to Boaz Huss, the cultural logic of late capitalism and has to be analysed within the context of the emergence and increasing success of general New Age ideas. Many authors publish books on both topics and new Kabbalah doctrines and practices are imbued with New Age terminology and themes. Huss goes on to attribute the popularity of New Age and Kabbalah to the spirit of the postmodern era, which is characterised by the collapse of the belief in “grand narratives”. Both New Age and contemporary Kabbalah are inherently eclectic and pluralistic and borrow from different traditions and forms of knowledge. Rather than articles of faith and myths, New Age, just like contemporary forms of Kabbalah concentrate on practical and experiential knowledge, such as meditations, spiritual and physical exercises, proper nutrition, and healing, all of which can be easily consumed and are therefore being advertised and marketed. In this day and age, Huss argues, there no longer exists a contradiction between economic and spiritual value and the success of the New Kabbalah movements are but one manifestation of that. In the case of Madonna, the relationship is reciprocal; just as the Kabbalah Centre profits from its most famous follower, Madonna once more found a way to re-invent, and eventually to market herself.